Exclusive! 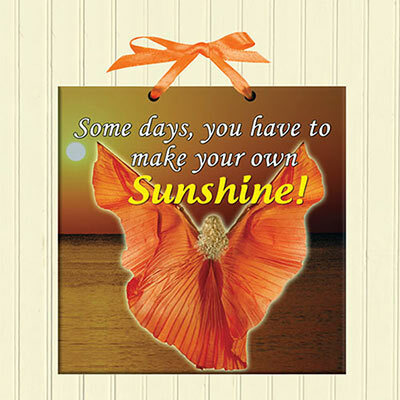 Let the sun shine in with this inspirational Sunshine Plaque inscribed with a message everyone can use. Ceramic with satiny ribbon hanger. Imported. 6" sq. Limited Quantities!